Karnataka deputy chief minister G Parameshwara welcomed on Twitter the "great news" from Pakistan on the release of Wing Commander Abhinandan. "We eagerly wait for our son to return home," he said. Narendra Modi will conduct a security review meeting with all three service chiefs, and intel chiefs, CNN-News18 reported. NSA Ajit Doval will be briefing the prime minister about the day's developments. Reacting to Pakistan's announcement that it will release IAF pilot Abhinandan, Punjab chief minister Amarinder Singh said, "I'm very happy, I had demanded his release earlier too. This is going to be a step towards goodwill and I hope this will be lasting." Joint press briefing by army, navy and air force in New Delhi that was scheduled for 5 pm has been postponed to 7 pm. India Today and CNN-News18 reported that Wing Commander Abhinandan will be coming out through Wagah Border on Friday. He will be accompanied by outgoing defence attache of Pakistan. "I have a feeling that the Indian public does not agree with the current government's warmongering," said Imran Khan at joint session of parliament. Pakistan prime minster Imran Khan told a joint session of Parliament that IAF's captured pilot Wing Commander Abhinandan Varthaman will be released on Friday as a gesture of peace. "As a peace gesture, we are releasing Wing Commander Abhinandan tomorrow," ANI quoted the Pakistan prime minister as saying. Pakistan would be prepared to return the Indian pilot shot down and captured this week if it helped ease the crisis with its neighbour, Pakistan's foreign minister Shah Mahmood Qureshi told Geo TV. “We are willing to return the captured Indian pilot if it leads to de-escalation,” he was quoted as saying. While Pakistan foreign minister Shah Mahmood Qureshi told ANI that he was pro-talks with Sushma Swaraj over the deteriorating conditions between the two countries, Qureshi on Wednesday had threatened to boycott the OIC meeting in the UAE if external affairs minister Sushma Swaraj participates in the event. Swaraj has been invited as a "guest of honour" at the inaugural session of the OIC foreign ministers' conclave in Abu Dhabi on 1-2 March. "I have no reservations with the OIC or any other Islamic country. My reservations are with Indian foreign minister Sushma Swaraj's attendance at the OIC meeting," Qureshi was quoted as saying by the Geo News. "If Swaraj attends the meeting then I will not participate in it," he said. Foreign Minister of Saudi Arabia will be arriving in Pakistan with a message from Crown Prince Mohammed bin Salman, Pakistan's Foreign Minister Shah Mahmood Qureshi told Pakistan's daily The Dawn. On being asked if he is open to meeting External Affairs Minister Sushma Swaraj on sidelines of the Organisation of Islamic Cooperation(OIC) meet. Pakistan Foreign Minister Shah Mahmood Qureshi said he will not hesitate to meet but OIC is not the forum for talks with Swaraj. Pakistan violated ceasefire in Nowshera sector, Rajouri at around 2.15 pm today, ANI reports. The Indian Army has responded by retaliating fire. According to reports, this is the 22nd time in last three days that Pakistan has violated ceasefire. Reports quoted Indian government sources who said that India did not consider giving actionable intelligence earlier as Pakistan had not acted on actionable inputs on Mumbai and Pathankot cases in the past. "Terrorists were caught, audio was given, access was given to forward posts in Pathankot and Pakistan still remained in denial, the source told ANI. "Thirteen days after Pulwama and they still deny Jaish-e-Mohammed role. We are ready for talks on Kartarpur. They (Pakistan) had called it off just as they had closed airspace and stopped Samjhauta Express. We are trying to appear reasonable, they are creating a war hysteria." MHA sources further said that on Punjab border heavy deployment was reported with three Pakistan posts, including Sutlej Rangers and Chenab rangers. Pakistan civilians have been shifted from that area. Two Pakistan units, Sindh and Mujahid, moved to Kot Katera. Intercepted chatters have revealed that Pakistani rangers and army deployed snipers on selected Pakistan posts along the International Border and the Line of Control. Sources at the Ministry of Home Affairs told Firstpost that Pakistan has sharply increased deployment of its troops at Kotli in Pakistan-occupied-Kashmir, just opposite Rajouri sector, since Wednesday night. Citing intelligence inputs, MHA sources said that four Pakistan army artillery units were moved on Wednesday evening at Topa Girdan and Tarkundi. Civil Association Authority for Pakistan has confirmed that Pakistan will temporarily restore its airspace for commercial flights. Details are awaited. Pakistan foreign Minister Shah Mahmood Qureshi has said that Imran khan is ready to speak to Prime Minister Modi over phone if India is willing for dialogue. However, ANI quoted Indian government sources to report that the talks are unlikely in present scenario. The source said: "Immediate, credible and verifiable action against terror is required before any such conversation. Imran Khan should now walk the talk on dealing with terrorism. That is our message to Pakistan and International community." India has refused to cut any deal in order to secure the release of Indian Air Force pilot Wing Commander Abhinandan. New Delhi has clarified that it has not asked for consular access, nor any other concessions as its sole demand is immediate release of the pilot. Government sources have informed ANI that India has not asked for consular access to Indian Air Force pilot captured in Pakistan, instead it has sought his but immediate release. This comes moments after news reports claimed that Pakistan has said it will decide whether or not the status of Prisoner of War should be given to Wing Commander Abhinandan or not. CNN-News reported that Pakistan has said it will decide on whether to give IAF pilot the prisoner of war status or not. 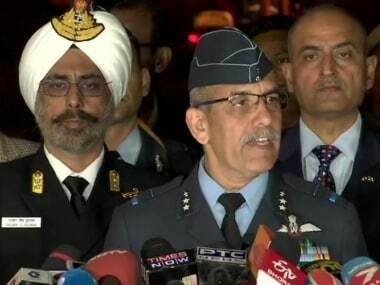 They said that Wing Commander Abhinandan Varthaman was safe and healthy in Pakistani custody. "India has raised the matter of the pilot with us. We'll decide in a couple of days what convention will apply to him and whether to give him Prisoner of War status or not," Foreign Office spokesperson Muhammad Faisal said. Defence Ministry Officials said: "We believe that the Pakistan air intrusion was an attack on military installations. We believe that the Pakistan Army is actively supporting the Jaish-e-Mohammed and is harbouring the leaders including Masood Azhar in its facilities." Defence Ministry sources have said that they believe that despite Pakistani claims, the Indian Air Force Pilot was ill treated by the Pakistan Army in violation of the Geneva convention, ANI reported. The first casualty of the India-Pakistan imbroglio will not be the World Cup cricket encounter, but rather the India-Australia fourth ODI in Mohali on 10 March and the one following that in Delhi. Sources revealed that with chances of a flare up with Pakistan escalating, the day-night match at Mohali would have to be shifted out for logistical reasons. To start with, the stadium is virtually next door to a key Indian Air Force base and is located directly in its flight path. This was the reason why it was not given permission to erect conventional tall light towers in the first place. Even the final ODI in Delhi could be shifted. Bengaluru and Kolkata have been identified as the possible alternate venues and the association officials of both centres have been asked to get their facilities ready. According to latest TV reports, Indian Army chief, chief of Indian Air Force, and chief of naval command will address the media ta 5 pm to brief them on the situation at the border, a day after an IAF pilot was captured by Pakistan. Meanwhile, the three service chiefs have briefed defence minister Nirmala Sitharaman on the situation. Thiruvananthapuram MP and Congress leader Shashi Tharoor says the Ministry of External Affairs (MEA) will brief the Parliamentary Standing Committee on External Affairs on the current situation with Pakistan at its meeting on Friday afternoon. The three-member committee is headed by Tharoor. Ceasefire violation by Pakistan along the Line of Control in Krishna Ghati Sector, Jammu and Kashmir today at around 1.00 pm, suggest reports. Indian Army retaliated. Reports said heavy shelling with mortars was heard around the area at around 1 pm. Pakistan government sources have told CNBC TV18 that the timing of Wing Commander Abhinandan's return depends on border hostilities and when they end. "Pakistan will definitely return Wing Commander Abhinandan but India must engage on reducing tensions and hostilities," News18 quoted Pakistan sources as saying. Addressing the media after meeting North Korean leader Kim Jong-un, US President Donald Trump said, "I think reasonably attractive news from Pakistan and India, they have been going at it and we have been involved and have them stop, we have some reasonably decent news,hopefully its going to be coming to an end, going on for a long time,decades and decades." "Every citizen in the country right now wants to contribute in some way or the other towards India’s betterment. Every Indian has an unshakable belief on himself as well as the government, and that is our biggest achievement," says Modi while addressing BJP workers during 'Mera Booth Sabse Mazboot' programme. Former Uttar Pradesh CM Mayawati slammed Modi for "trying to serve political interest" at a time when "India is facing hostility of war and country needs firm leadership." "We have to be hardworking in all sectors. India is grateful to all those who are protecting the nation. It is because they are there, the nation can reach new levels of development," says PM Modi while addressing BJP workers during 'Mera Booth Sabse Mazboot' programme even as Opposition leaders have been slamming the Centre for remaining "silent" after Pakistan captured IAF pilot. "The nation is praying. We‘re all waiting with baited breath but not a word from our leadership," former UP CM Akhilesh Yadav had tweeted earlier today. Amid tension between India and Pakistan, Prime Minister Narendra Modi said India won't stop at any cost. He made the statement while addressing BJP workers during "world's largest video-conference" 'Mera Booth Sabse Mazboot'. "Booth soldiers need to step up now. If you win your booth, if you win hearts of people, you can work directly for the nation," says Modi. Narendra Modi urges BJP booth workers across India to take the message to all homes in their respective areas that a strong government makes a huge difference to every countryman. "We have to be hardworking in all sectors. India is grateful to all those who are protecting the nation. It is because they are there, the nation can reach new levels of development," the prime minister said in his address on Thursday. Reports say that meeting of Army Chief General Bipin Rawat with delegates from panchayat members and ex-servicemen from Jammu and Kashmir scheduled for today has been cancelled. Addressing the BJP booth workers across India, Prime Minister Narendra Modi said, "Hamare sena ke samarthya par hame bharosa hai. Isliye bahut avashyak hai ki kuch bhi aisa na ho jisse unke manobal par aanch aaye ya hamare dushmano ko hamare par ungli uthane ka mauka mil jaaye." Prime Minister Narendra Modi, addressing India on the ongoing tension with the neighbouring country, called all Indians to be one and fight the tensions. "Is samay desh ki bhavnayein ek alag star par hain. Desh ka vir jawan seema par aur seema ke paar bhi apna parakram dikha raha hai. Pura desh ek hai, aur hamare jawano ke saath khada hai. Duniya hamare collective will ko dekh rahi hai." Pakistan Peoples Party (PPP) chairman Bilawal Bhutto Zardari tweeted on Thursday agreed with Pakistan Prime Minister Imran Khan and tweeted, "It is the youth of the subcontinent who will pay in blood and coin for generations to come for the shortsighted decisions of a few today. Pakistan’s Prime Minister’s call for dialogue must be reciprocated, time to deescalate before it’s too late." Sherry Rehman RT-d his tweet and said, "Statesmanlike response. This standoff between India and Pakistan has proved one thing: Majoritarian Pakistan is politically mature, strategically farsighted and has clearly chosen peace over war. We will defend our territory like we should but we need no wardrums to make a point." Thousands of travellers were stranded in Bangkok on Thursday when Thai Airways cancelled all flights over Pakistan after Islamabad closed its airspace in response to soaring tensions with India. Nearly 30 flights — the majority to and from European routes — were initially affected, the airline said, with three aircraft forced to return to Bangkok’s Suvarnabhumi airport and others cancelled or set to be re-routed. According to TV reports, NSA Ajit Doval is scheduled to meet Prime Minister Narendra Modi on Thursday evening. Doval will give the prime minister a comprehensive stock of the situation. Passengers of Samjhauta Express going to Pakistan were stuck in Attari after Pakistan refused to allow the train in their territory. Passengers are now being sent to the Wagah border on bus from where they will cross over to Pakistan on foot, News18 quoted government sources as saying. BJP's Karnataka unit president BS Yeddyurappa, has backtracked on his controversial statement politicising the Indian air strike on Pakistani terror camps. He said his comments were taken out of context. He had kicked up a storm, by stating India's air strikes on a terror camp in Pakistan has created a wave in favour of Modi and will help the party win over 22 of 28 seats in the state in the national election. Nobel Peace Prize Winner and Pakistani citizen Malala Yousufzai urged the governments of Pakistan and India to avoid a war at all costs. Pointing to the futility of war, Malala said that the world did not need another conflict. US Secretary of State Mike Pompeo spoke to NSA Ajit Doval on Wednesday evening. According to reports, the conversation between Pompeo and Doval lasted for 25 minutes. According to government sources, US has extended full support to India. US has asked Pakistan to abide by its UN Security Council commitments to deny terrorists safe haven and block their access to funds. This US statement came after India on Wednesday handed over to Pakistan a dossier on specific details"of involvement of the Jaish-e-Mohammed in the Pulwama terror attack on Central Reserve Police Force (CRPF) as also the presence of camps of the UN-proscribed terror outfit in that country. Congress spokesperson Randeep Singh Surjewala took a dig at Narendra Modi over Yeddyurappa's statement that "India's preemptive strikes on terror camps in Pakistan has created a wave in favour of the prime minister". Minister of state for external affairs Gen (retired) Vijay Kumar Singh said that he differed with his party member, Yeddyurappa. "We stand as one nation, action taken by our government is to safeguard our nation and ensure safety of our citizens, not to win a few extra seats," he added. Karnataka chief minister HD Kumaraswamy has lent support to the central government and the armed forces in fight against terrorism. He also slammed Yeddyurappa over his 'strikes to favour BJP' statement. Karnataka BJP chief BS Yeddyurappa has not only stirred the political circles here with his statement but has become the talk in Pakistan with Imran Khan's Pakistan Tehreek-e-Insaf tweeting about it. "The atmosphere....day by day the wind is increasingly blowing in favour of BJP. 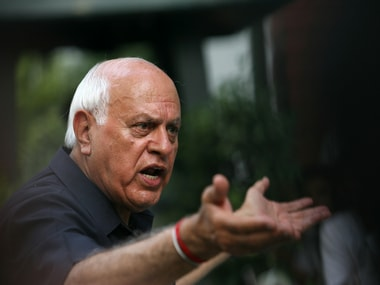 Tuesday's action of destroying terror hideouts by entering inside Pakistan has resulted in a pro-Modi wave in the country, the results of which can be seen in coming Lok Sabha polls," Yeddyurappa said. Speaking to reporters in Chitradurga, he said "It has enthused youths; all this will help us in winning more than 22 Lok Sabha seats (in Karnataka)." The three service chiefs — Army, Navy and Air Force — will meet Defence Minister Nirmala Sitharaman today shortly, reports have said. The chiefs on Wednesday had apprised Prime Minister Narendra Modi on the security situation after Pakistani aircraft violated Indian airspace and an Indian pilot was taken into custody by the neighbouring country. Home Minister Rajnath Singh is scheduled to meet intelligence bureau chief and RAW chief today as well. 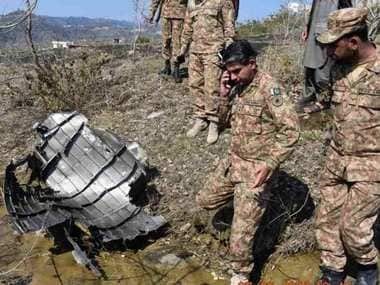 Portion of downed Pakistani Air Force jet and its wreckage was found in Pakistan-occupied-Kashmir. ANI tweeted an image with the Commanding Officer of Pakistan’s 7 Northern Light Infantry. Same picture, which is circulating on social media, claims that this is the Indian MiG fighter, however multiple IAF sources confirm this is the wreckage of Pakistani F16 downed on Wednesday. Home Minister Rajnath Singh will hold a high-level meeting shortly with Intelligence Bureau chief and RAW chief, reports have said. The Union Cabinet meeting will be held at 6.30 pm today at Prime Minister Narendra Modi’s residence. News18 quoted government sources and reported that the Samjhauta Express is currently stuck at the customs office at Attari border. According to News18, the train was not allowed to enter Pakistan because Islamabad suspended services even as India said that there won't be any change in the schedule of the train. Government sources have reportedly said that discussion is on over what the next step should be and meanwhile, News18 reported that passengers maybe put on a bus to the Wagah Border. Aam Aadmi Party chief and Delhi chief minister Arvind Kejriwal urged Prime Minister Narendra Modi to postpone his proposed mega-video conference, amid heightened tensions with Pakistan. The response came to a tweet by the Delhi unit of the Bharatiya Janata Party (BJP) about the event to be held on Thursday. It said party chief Amit Shah and other leaders would participate in the programme at the Delhi BJP office in New Delhi. "Japan is concerned about the deteriorating situation in Kashmir. Japan strongly condemns the terrorist attack on 14 February, 2019 for which the Islamic extremist group Jaish-e-Mohammed claimed responsibility. Japan urges Pakistan to take stronger measures to counter terrorism. In response to mounting tension due to the operations since 26 February between the Indian Air Force and Pakistan Air Force, Japan strongly urges India and Pakistan to exercise restraint and stabilise the situation through dialogue." A report in Dawn details what happened after Wing Commander Abhinandan landed on Pakistan's soil. The report quotes a social and political activist who witnessed the minutes after the Indian Air Force pilot landed in Pakistan. "The pilot, who was equipped with a pistol, asked the youngsters whether it was India or Pakistan. On this, one of them intelligently responded that it was India. The pilot, later identified as Wing Commander Abhi Nandan, shouted some slogans and asked which place exactly it was in India." According to the report, the captured pilot used a pistol to ward off local village boys, was unsure of which side of the border he had landed, and tried to swallow and destroy maps and documents before he was taken into custody. Flights resume in Srinagar airport. Air traffic is normal, India Today reports. Air India has decided to fix cap of ₹5,000 from Delhi to Srinagar, Leh and Jammu airport for any passengers. Further, Air India has also waived journey date change charges upto first week of March. Veteran Air Marshal and father of Wing Commander Abhinandan Varthaman has thanked people for their concern and wishes, News18 reports. "I thank God for his blessings. Abhi is alive, not injured, sound in mind. Just look at the way he talked so bravely. A true soldier. We are so proud of him. I am sure all your hands and blessings are on his head; prayers for his safe return. I pray that he does not get tortured, and comes home safe and sound in body and mind. Thank you all for being with us in this hour of need. We draw our strengths from your support and energy," veteran Air Marshal Varthaman was quoted as saying by News18. Pakistan captured Wing Commander Abhinandan Varthaman after a fierce engagement between the two air forces. Union Railway Minister on Wednesday said that the Samjhauta Express that runs between Delhi and Attari will run as per schedule, amidst reports that Pakistan had halted the service of the train. "We have not yet received any instructions from authorities so far as running of Samjhauta Express. So it will run as planned as per the schedule," said Railway Minister Piyush Goyal. The Samjhauta Express, or the peace train, is a bi-weekly train Wednesday and Sunday runs between Delhi and Attari in India and Lahore in Pakistan. It comprises six sleeper coaches and an AC 3-tier coach. Pakistan, however, decided to suspend Samjhauta Express cross-border train service, Pakistani media reported. Minister of State for External Affairs VK Singh's tweet and the mention of Geneva Convention holds importance because Wednesday's second statement by The Ministry of External Affairs noted, "India also strongly objected to Pakistan’s vulgar display of an injured personnel of the Indian Air Force in violation of all norms of International Humanitarian Law and the Geneva Convention. It was made clear that Pakistan would be well advised to ensure that no harm comes to the Indian defence personnel in its custody. India also expects his immediate and safe return." VK Singh tweeted, "During these testing times the country stands, as one, behind him and his family. Our efforts are on and under the Geneva Convention we hope that the brave pilot would return home soon." On basis of the inputs received from security agencies, Mumbai Metro One has issued Red Alert on all 12 stations with immediate effect. Mumbai Metro tweeted, "We seek cooperation and support from our esteemed commuters." Islamabad has decided to suspend Samjhauta Express cross-border train service, reports Pakistani Media. Indian railways had said yes to no plans to stop the service, News18 has reported. Indian High Commission in Pakistan last evening gave a demarche to Pakistan Ministry of Foreign Affairs for immediate and safe return of Wing Commander Abhinandan. A similar demarche was given to Pakistan's acting High Commissioner in New Delhi earlier yesterday, reports ANI. General Vijay Kumar Singh, former chief of Army staff and now Minister of State for External Affairs has tweeted on captured Wing Commander Abhinandan. Singh called him the "embodiment of a mentally tough, selfless & courageous soldier". China's foreign minister has called on Pakistan and India to avoid escalating tensions, expressing to his Pakistani counterpart "deep concern" over the Kashmir crisis amid fears aerial battles could snowball into an all-out conflict, AFP reported. Wang Yi's comments came as Shah Mahmood Qureshi called him on Wednesday to provide an update on the latest developments in the standoff, the Chinese foreign ministry said Thursday. Wang told Qureshi he hoped the nuclear-armed neighbours would "exercise restraint and earnestly fulfil their commitment to preventing the expansion of the situation", a ministry statement said. Even though it's an updated version after the MiG 21 FL was decommissioned by the Indian Air Force in 2013, in today’s context, a MiG 21 Bison has a limited combat role. To send it up against F-16s, if that is what India did, was like sending a pigeon to fight a falcon. Wing Commander Abhinandan, who reportedly engaged one of the F-16s had no chance in terms of firepower and manoeuvrability. It was nowhere near an even playing field in the air. But boy, did he make us proud! A meeting of the Union Cabinet will be held at 7, Lok Kalyan Marg, on Thursday. The situation with Pakistan is likely to come up in the meeting. On Wednesday, New Delhi summoned the Pakistan envoy and lodged a strong protest over "unprovoked act of aggression by Pakistan", saying its jets had targeted military installations in India a day after Indian fighter jets crossed the Line of Control and carried out a strike at a major terror camp. In various videos circulated by Pakistani accounts, the pilot was seen blindfolded and wounded, his arms tied behind his back, being interrogated. The videos were taken off as Pakistan faced allegations of violating the Geneva Convention for prisoners. Later, a video showed the pilot sipping tea, saying that "officers of the Pakistani army have looked after me well". India had been on high alert amid warnings of retaliation by Islamabad after IAF fighter jets destroyed a major terror camp of the Jaish-e-Mohammed in Balakot, around 80 km from the Line of Control, in a pre-dawn strike on Tuesday. The US State department tells ANI that cross-border terrorism,such as recent attack on India’s Central Reserve Police Forces, "poses grave threat to security" of the area. "We reiterate our call for Pakistan to abide by its United Nations Security Council commitments to deny terrorists safe haven & block their access to funds," it was quoted by ANI as having said. Jammu and Kashmir has been under thick cover of security. Here are visuals from the Manjakote sector of Rajouri district. National Security Adviser Ajit Doval spoke to both United States Secretary of State Mike Pompeo and United Kingdom NSA Mark Sedwill last night, reports said. Pompeo said the US will pressurise Pakistan to take action against terror. Sedwill too gave complete assurance of the UK's support to India. As #GiveBackAbhinandan and #AbhinandanMyHero trends on Twitter, one of the voices joining in was that of former Karnataka chief minister Siddaramaiah who extended support to the Prime Minister's Office to get back the captured IAF pilot from Pakistan. The era of conventional wars was followed by sub-conventional counter-insurgency challenges; the method of war corresponds both to the challenges in the field and the technologies available to the army taking on those challenges. After the 26/11 terror attack in Mumbai, India’s current National Security Advisor Ajit Doval had spoken about the need to shift from ‘defensive defence’ to ‘offensive defence’. Hours after the counter-terror air strikes occurred beyond the Line of Control (LoC), it is worth taking note of the way the Indian Army is preparing for the security challenges it faces. Amid the escalating tensions between the neighbours, citizens and prominent faces of both India and Pakistan are appealing for peace. Among them were Pakistan Peoples Party leader Farhatullah Babar and former Pakistan captain Wasim Akram. Several others too joined the clamour to stop war. Thai Airways has suspended all its flights to Europe amid Indo-Pak tensions as the airlines uses the route over Indian and Pakistani air space. "By closing the airspace, every flight from Thailand to Europe has been affected. For flights that are going to depart this evening, we will call an urgent meeting to consider the impact of such events," a BBC report quoted Thai Airways president Sumeth Damrongchaitham as saying. Singapore Airlines and British Airways are among the operators which have had to reroute flights. Singapore Airlines said longer flight routes would make refuelling necessary, the report further said. Pakistan violated ceasefire at 6 am on Thursday in Krishna Ghati sector along the Line of Control in Poonch district. Indian Army retaliated effectively. Firing stopped around 7 am, ANI reports. US called on India and Pakistan to cease all cross-border military activity and for a return to stability. US State Department told ANI that the US urges both sides to take immediate steps to de-escalate the situation,including direct communication. Further military activity will exacerbate situation, the state department said. Indian Commercial Pilots Association released a statement saying, "ICPA being a patriotic and responsible union would like to extend complete support and co-operation in all operations as the situation demands. We will support the government and the PMO in this fight against terrorism." All government and private schools within a range of five Kilometers from the International Border will remain closed on Thursday in Jammu and Kashmir's Samba district as per orders of District Development Commissioner in Samba. The aerial engagement between India and Pakistan for the first time since the 1971 war marked a dramatic escalation of confrontation prompting world leaders to urge the two neighbouring countries to exercise "utmost restraint". India said it shot down a F-16 warplane of Pakistan while it lost a MiG 21 during the fierce engagement between the air forces of the two countries along the Line of Control(LoC). United States, United Kingdom and France have asked the 15-member United Nations Security Council sanctions committee to subject Maulana Masood Azhar, the head of Pakistan-based militant group Jaish-e-Mohammad, to an arms embargo, global travel ban and asset freeze. The IAF AVM said that only an F-16 could carry the AMRAAM missiles. "What you are seeing today is evidence of a flight carrying AMRAAM missiles, something which only an F-16 can do," AVM RGK Kapoor said at the joint services press conference. "There is enough evidence to show that F-16s were used in this mission through their electronic signatures. Parts of AMRAAM, air to air missile which is carried only on the Pakistani F-16s was recovered east of Rajouri within the Indian territory," ANI quoted him as saying. "In response to the counter-terror strike, Pakistan Army resorted to unprovoked ceasefire violations," said Major General Surendra Singh Mahal. "This was responded to by the Indian Army in a befitting manner." "We continue to maintain strict vigil along the LoC and the IB sector. A ground-based weapons system has been put on high alert. I wish to assure the nation that we are fully prepared to respond to any action by Pakistan," he added. "The Indian Army is committed to maintaining peace and stability in the region," he said. "We stand as one with the army and the air force to ensure the security of our citizens," Rear Admiral DS Gujral said at the joint services press conference in New Delhi. "In the aerial combat that ensued, one F-16 Pakistani aircraft was shot down and crashed in Pakistan-occupied Kashmir. One Mig-21 crashed and the pilot parachuted into PoK," Air Vice Marshal RGK Kapoor said in New Delhi. "First blatant misinformation by Pakistan was that two Indian aircraft had been shot down," Kapoor. "Pakistan later changed its statement. It was only by late evening that Pakistan accepted the facts," he said. "Pakistan claimed that it targeted only those spaces which were sparcely populated. However, Pakistan targeted military installations, attempts which wer foiled by us," he said. Ministry of Defence officials are expected to brief the media shortly. Mufti's reaction came after Imran Khan announced that the captured IAF pilot will be released tomorrow. Sakhee Mohmmmad, who lives barely 200 metres from the LoC in Pokhrni hamlet in Laam sector, left his house for the first time in four days on Thursday. Intense shelling and air intrusions by Pakistan jets have left hundreds of people living in villages along the LoC in Jammu and Kashmir in the grip of fear. Locals said the nights are the worst as the shelling is the most severe then. "Every night mortar shells fall here. No shell has fallen on our house yet. We don't know when the shells will kill us. We are living in absolute fear," said Sakhee, who has a family of nine. He said the area is pounded by Pakistan forces year after year, at least for a few days every month "making living here hell-like". "It is the best news for his family and every citizen of India," said businessman Robert Vadra. Pakistan Tehreek-e-Insaf said in a tweet, "As a true statesman, taking the lead, Prime Minister of Pakistan Imran Khan announced that Pakistan will release captured Indian Air Force pilot Wing Commander Abhinandan Varthaman tomorrow as a peace gesture." The IT Ministry has asked YouTube to remove 11 video links pertaining to Wing Commander Abhinandan. The ministry had asked YouTube to remove the clips following directive from the Home Ministry, a government source said, adding that the said links have now been removed. When contacted, a Google (which runs YouTube) spokesperson said the company complies with "valid legal requests from authorities wherever possible, consistent with our longstanding policy and act quickly to remove such material". Nobel laureate Kailash Satyarthi urged Prime Minister Narendra Modi and his Pakistan counterpart Imran Khan to create an atmosphere of trust and transparency, and work together to uproot terrorism. Satyarthi, who was jointly awarded the Nobel Peace Prize with Pakistan's Malala Yousafzai in 2014, appealed to the two nations to exercise restraint, amid escalating tension in the aftermath of the Pulwama attack and subsequent developments. According to News18, Pakistan said it will evaluate the dossier handed over by India on the "specific details" of the involvement of Jaish-e-Mohammamed in the Pulwama terror attack with an "open heart". "I wish India would have sent this dossier earlier," Qureshi told Geo News. J&K: Pakistan violated ceasefire in Rajouri's Nowshera Sector at about 1415 hours today. Indian Army is retaliating. More details awaited. The parliamentary Standing Committee on External Affairs will receive a briefing from the MEA on the current situation with Pakistan at its meeting tomorrow afternoon. Even when our pilot is missing, everything — even national security — is seen through the lens of public relations and votes. The BJP only knows the politics of distraction, lies, branding and marketing. It‘s been nearly 24 hrs since our pilot has gone missing. On the other hand 6 IAF braves lost their lives in a helicopter crash. The nation is praying. We‘re all waiting with baited breath but not a word from our leadership. India-Pakistan tensions LATEST updates: The Indian Air Force said that Pakistan had spread misinformation and had actually targeted military installations in India. According to reports, Wing Commander Abhinandan will be coming out through Wagah Border on Friday. He will be accompanied by outgoing defence attache of Pakistan. The news comes after Pakistan prime minister Imran Khan said that Islamabad will release Abhinandan on Friday. On being asked if he is open to meeting External Affairs Minister Sushma Swaraj on sidelines of the Organisation of Islamic Cooperation(OIC) meet. Pakistan Foreign Minister Shah Mahmood Qureshi said he will not hesitate to meet but OIC is not the forum for talks with Swaraj. Reports quoted Indian government sources who said that India did not consider giving actionable intelligence earlier as Pakistan had not acted on actionable inputs on Mumbai and Pathankot cases in the past. "Terrorists were caught, audio was given, access was given to forward posts in Pathankot and Pakistan still remained in denial, the source told ANI. "Thirteen days after Pulwama and they still deny Jaish-e-Mohammed role. We are ready for talks on Kartarpur. They (Pakistan) had called it off just as they had closed airspace and stopped Samjhauta Express. We are trying to appear reasonable, they are creating a war hysteria." TV reports are quoting sources from the Indian government and said that there is no question of any deal or negotiation over Wing Commander Abhinandan's return. 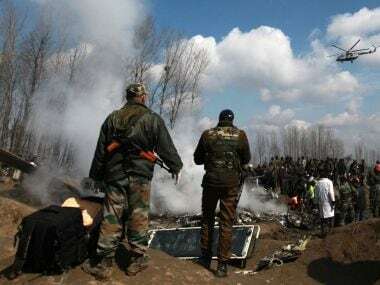 The IAF pilot was captured on 27 February after his jet crashed in Pakistan-occupied-Kashmir. India has refused to cut any deal in order to secure the release of Indian Air Force pilot Wing Commander Abhinandan. New Delhi has clarified that it has not asked for consular access, nor any other concessions as its sole demand is immediate release of the pilot. Pakistan has said it will decide on whether to give IAF pilot the prisoner of war status or not. They said that Wing Commander Abhinandan Varthaman was safe and healthy in Pakistani custody. Reports said that Germany has urged Islamabad to safely return the captured IAF pilot to India to avoid escalation of hostilities. Meanwhile, Saudi Arabian ambassador to India met Prime Minister Modi and offered him support. According to latest TV reports, Indian Army chief and chief of Indian Air Force, Navy will address the media ta 5 pm to brief them on the situation at the border, a day after an IAF pilot was captured by Pakistan. Meanwhile, the three service chiefs have briefed defence minister Nirmala Sitharaman on the situation. Amid heightened tension between India and Pakistan, Prime Minister Narendra Modi said India won't stop at any cost and will continue to fight against terrorism. Meanwhile, addressing the media after meeting North Korean leader Kim Jong-un, US President Donald Trump said, "I think reasonably attractive news from Pakistan and India, they have been going at it and we have been involved and have them stop, we have some reasonably decent news,hopefully its going to be coming to an end, going on for a long time,decades and decades." Prime Minister Narendra Modi, while addressing BJP karyakartas across the nation said that all Indians should come together and fight as a nation. "Is samay desh ki bhavnayein ek alag star par hain. Desh ka vir jawan seema par aur seema ke paar bhi apna parakram dikha raha hai. Pura desh ek hai, aur hamare jawano ke saath khada hai. Duniya hamare collective will ko dekh rahi hai." US Secretary of State Mike Pompeo spoke to NSA Ajit Doval on Wednesday evening. According to reports, the conversation between Pompeo and Doval lasted for 25 minutes. According to government sources, US has extended full support to India. US has asked Pakistan to abide by its UN Security Council commitments to deny terrorists safe haven and block their access to funds. The three service chiefs — Army, Navy and Air Force — will meet Defence Minister Nirmala Sitharaman today shortly, reports have said. The chiefs on Wednesday had apprised Prime Minister Narendra Modi on the security situation after Pakistani aircraft violated Indian airspace and an Indian pilot was taken into custody by the neighbouring country. Home Minister Rajnath Singh is scheduled to meet intelligence bureau chief and RAW chief today as well. 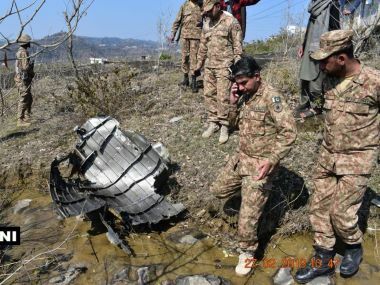 Portion of downed Pakistani Air Force jet and its wreckage was found in Pakistan-occupied-Kashmir. ANI tweeted an image with the Commanding Officer of Pakistan’s 7 Northern Light Infantry. Same picture, which is circulating on social media, claims that this is the Indian MiG fighter, however multiple IAF sources confirm this is the wreckage of Pakistani F16 downed on Wednesday. News18 quoted government sources and reported that the Samjhauta Express is currently stuck at the customs office at Attari border. According to News18, the train was not allowed to enter Pakistan because Islamabad suspended services even as India said that there won't be any change in the schedule of the train. Government sources have reportedly said that discussion is on over what the next step should be and meanwhile, News18 reported that passengers maybe put on a bus to the Wagah Border. More details are awaited. A report in Dawn details what happened after Wing Commander Abhinandan landed on Pakistan's soil. The report quotes a social and political activist who witnessed the minutes after the Indian Air Force pilot landed in Pakistan. "The pilot, who was equipped with a pistol, asked the youngsters whether it was India or Pakistan. On this, one of them intelligently responded that it was India. The pilot, later identified as Wing Commander Abhi Nandan, shouted some slogans and asked which place exactly it was in India." According to the report, the captured pilot used a pistol to ward off local village boys, was unsure of which side of the border he had landed, and tried to swallow and destroy maps and documents before he was taken into custody. Veteran Air Marshal and father of Wing Commander Abhinandan Varthaman has thanked people for their concern and wishes, News18 reports. "I thank God for his blessings. Abhi is alive, not injured, sound in mind. Just look at the way he talked so bravely. A true soldier. We are so proud of him. I am sure all your hands and blessings are on his head; prayers for his safe return. I pray that he does not get tortured, and comes home safe and sound in body and mind. Thank you all for being with us in this hour of need. We draw our strengths from your support and energy," veteran Air Marshal Varthaman was quoted as saying by News18. Pakistan captured Wing Commander Abhinandan Varthaman after a fierce engagement between the two air forces. Commanding Officer of Pakistan’s 7 Northern Light Infantry at the site where F-16 wreckage was found. General Vijay Kumar Singh, former chief of Army staff and now Minister of State for External Affairs has tweeted on captured Wing Commander Abhinandan. Singh called him the "embodiment of a mentally tough, selfless & courageous soldier"
National Security Adviser Ajit Doval spoke to both United States Secretary of State Mike Pompeo and United Kingdom NSA Mark Sedwill last night, reports said. Pompeo said the US will pressurise Pakistan to take action against terror. Sedwill too gave complete assurance of the UK's support to India. The US called on India and Pakistan to cease all cross-border military activity and for a return to stability. US State Department told ANI that the US urges both sides to take immediate steps to de-escalate the situation,including direct communication. Further military activity will exacerbate situation, the state department said. Fearing an escalation of the current tensions between India and Pakistan, the Pentagon on Wednesday urged the two South Asian neighbours to avoid further military action. Canada also called for de-escalation of tensions between India and Pakistan. Meanwhile, the United States, United Kingdom and France have asked the 15-member United Nations Security Council sanctions committee to subject Maulana Masood Azhar, the head of Pakistan-based militant group Jaish-e-Mohammad, to an arms embargo, global travel ban and asset freeze. Pakistan Prime Minister Imran Khan sought to defuse the escalating tension by saying war is futile and can lead to unknown consequences while making an oblique reference to the nuclear weapons that both countries possess. "I ask India: with the weapons you have and the weapons we have, can we really afford a miscalculation? If this (situation) escalates, it will no longer be in my control or in (Prime Minister) Narendra Modi's," Khan said in a live television broadcast, as he offered to hold talks with India to resolve issues. The Ministry of External Affairs(MEA) summoned the acting high commissioner of Pakistan Syed Haider Shah and demanded immediate and safe return of the pilot identified as Wing Commander Abhinandan Varthaman. It was also made clear to Pakistan that no harm should be caused to the Indian defence personnel, the ministry said, adding it has conveyed strong objection to the neighbouring country at the "vulgar display" of an injured personnel in violation of all norms of International Humanitarian Law and the Geneva Convention. In a strongly worded statement, the MEA said the envoy was clearly told that India reserves the right to take "firm and decisive action to protect its national security". Pakistan detained the pilot following the aerial engagement in which a Pakistani jet, stated to be a F-16, was downed by Indian air defence forces in Jammu region's Rajouri sector. The IAF also lost a MiG 21 jet in the engagement, an Indian official said. Pakistan has denied losing a jet. The Pakistan Army retracted its earlier statement that two IAF pilots were arrested and in the evening said it had "only one" pilot in its custody. "There is only one pilot under Pakistan Army's custody. Wing Comd Abhi Nandan is being treated as per norms of military ethics," Pakistani military spokesperson Major General Asif Ghafoor said in the evening. Prime Minister Narendra Modi was given an update on the latest security situation by the chiefs of the three armed forces following violation of Indian airspace by Pakistani fighter jets in Jammu and Kashmir and the capture of the Indian pilot across the LoC, sources said. National Security Advisor Ajit Doval, senior officials of the Indian Navy, Army and the Air Force and other security officials also had a meeting to discuss the current security situation, they said. A day after India bombed Jaish-e-Mohammed's(JeM) biggest training camp in Pakistan, it was a day of hectic developments moving with dizzying rapidity. Three Pakistani fighter jets entered Indian air space at 9:58 AM to target key military installations in Rajouri and Naushera in Jammu and Kashmir, as part of the retaliatory strike, official sources said. Though three Pakistani jets violated Indian air space, the package of the aircraft deployed by Pakistan Air Force(PAF) for the operation was "significantly large" as it comprised a fleet of JF-17 and F-16 combat aircraft, the sources said. The sources said the Pakistani jets targeted Indian army's bases in Krishna Ghati and Nangi Tekri and an ammunition point in Narian. However, the bombs dropped by the Pakistani jets fell in uninhabited areas. Minutes after Pakistani jets violated Indian air space, the IAF's Combat Air Patrol (CAP), comprising MiG-21 and other jets engaged with the enemy aircraft, successfully thwarting their attempts to bomb a number of key military installations in Naushera and Rajouri, they said. Islamabad claimed it hit back at India by bringing down two Indian military aircraft, one of which crashed in Pakistan occupied Kashmir(PoK) while the other fell in Jammu and Kashmir. "This morning PAF (Pakistan Air Force) jets while remaining in Pakistani airspace engaged six targets across the LoC," Major General Asif Ghafoor told reporters in Islamabad. "Our pilots locked on those six targets and we struck on open places," he said, adding that it was decided that the PAF will not hit the military targets. He said some of the targets were in Bhimber galli and Naran area where the supply depots were engaged from a distance. "After the PAF strikes, 2 IAF jets entered Pakistani airspace and the PAF took them on and the two IAF were shot down. The wreckage of one (aircraft) fell inside Pakistan (Pakistan-occupied Kashmir) while the second fell inside India." "Original targets were military posts and administrative facilities but we did not target those," he said. The spokesman claimed that targets engaged by the PAF were changed to avoid any loss of life. "It was not retaliation in the true sense but it was an action to show that we can retaliate. We do not want to push the region to war. We want peace." As tension mounted, the entire airspace north of New Delhi was briefly "vacated". Nine airports in Jammu and Kashmir, Himachal Pradesh and Punjab were closed for civilian traffic for some part of the morning but opened later in the day. Jammu and Kashmir was the centre of much of the action on a day of escalating tensions between the two neighbours. There was also nightlong heavy firing and shelling on forward and civilian areas from across the LoC in Rajouri and Poonch with the Army and the Border Security Force(BSF) being put on the highest degree of alertness. All residents of the border areas were asked to remain inside their homes and not venture outside. In a terse press statement earlier in the day, External Affairs Ministry Spokesperson Raveesh Kumar, accompanied by Air Vice Marshal R G K Kapoor, said, "Pakistan has responded this morning by using its Air Force to target military installations on the Indian side. Due to our high state of readiness and alertness, Pakistan's attempts were foiled successfully." He said the Pakistan Air Force activity was detected and the Indian Air Force responded instantly. "In that aerial engagement, one Pakistan Air Force fighter aircraft was shot down by a MiG 21 Bison of the Indian Air Force. The Pakistani aircraft was seen by ground forces falling from the sky on the Pakistan side. "In this engagement, we have unfortunately lost one MiG 21. The pilot is missing in action...."
Expressing concern over the well-being of the IAF pilot, leaders of various parties said Pakistan should abide by Geneva Convention and ensure his safe return home. EU diplomatic chief Federica Mogherini called on India and Pakistan to show the "utmost restraint" in their escalating confrontation. British Prime Minister Theresa May also urged both the countries to exercise restraint to avoid further escalation.